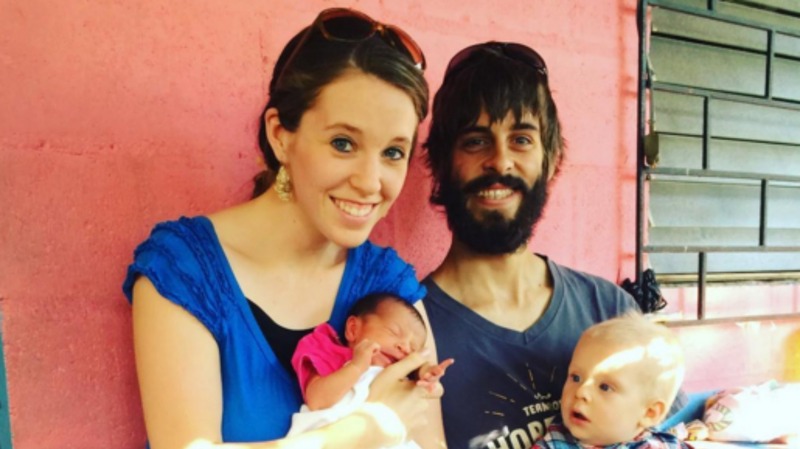 Jill and Derick Dillard celebrated baby Israel’s first birthday this week, and they marked the occasion in the most creative way. The couple wrote an open letter to Israel on their blog, sharing some of their favorite memories from their first year with their son. “Since he won’t remember all the little things that are going on right now (and we will likely soon forget!) you’ll see we have tried to document many of those little things,” they wrote. “On Sunday you got to try cake and ice cream for the first time with a bunch of your friends watching you (you smeared it all over your legs! lol). You are a handsome little fella, and here in Central America you stand out a little with your blonde hair and blue eyes. You are walking everywhere now and love to play soccer (fútbol) with your friends,” they continued. Jim Bob and Michelle Duggar also recorded a sweet video message for Israel, wearing their trademark matching shirts. Do we think the Duggars will still be on the air by the time Israel is old enough to revisit these messages? My money’s on yes.